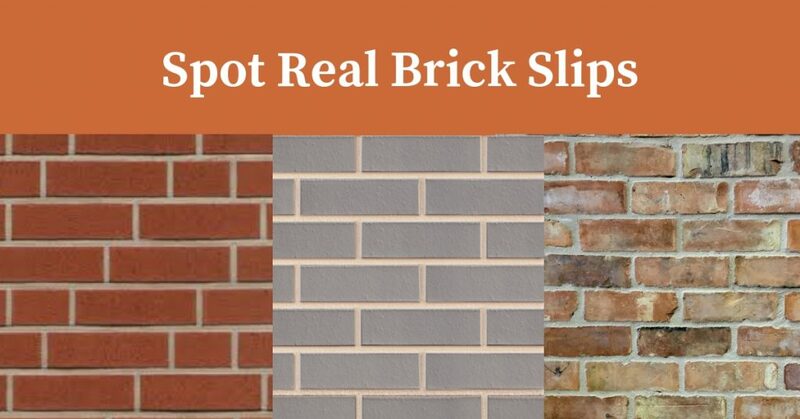 Brick slips are a great way to bring a pastoral quality to your home and its walls. They are quite in vogue these days as many homeowners are using brick slips to decorate their living spaces. 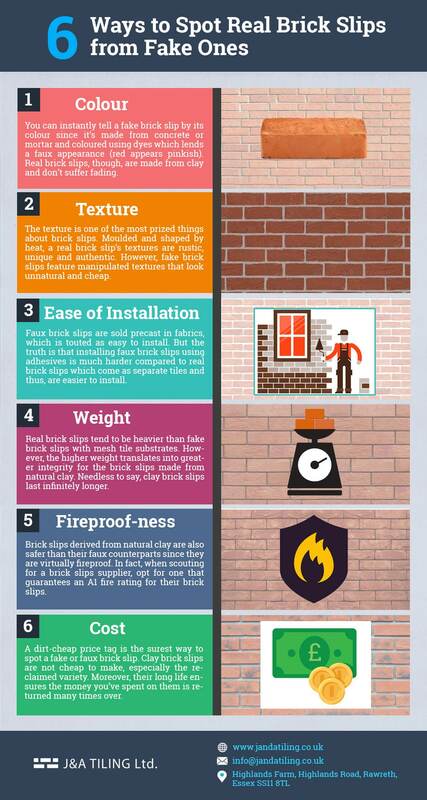 However, the popularity of brick slip cladding has also led to the proliferation of fake or faux brick slips. If you find yourself confused about the differences between the two, refer to the infographic below. Real brick cladding offers several advantages over faux brick cladding. For starters, there is no way to quantify the authenticity that is inherent to real brick slips. Fake ones cannot reproduce the finish of the real thing. That is because, with real brick cladding, the treatment of natural clay under intense heat produces a unique finish. Real brick tiles are also costlier than faux brick tiles. However, since they last for a really long time, brick tiles are a more VFM option. 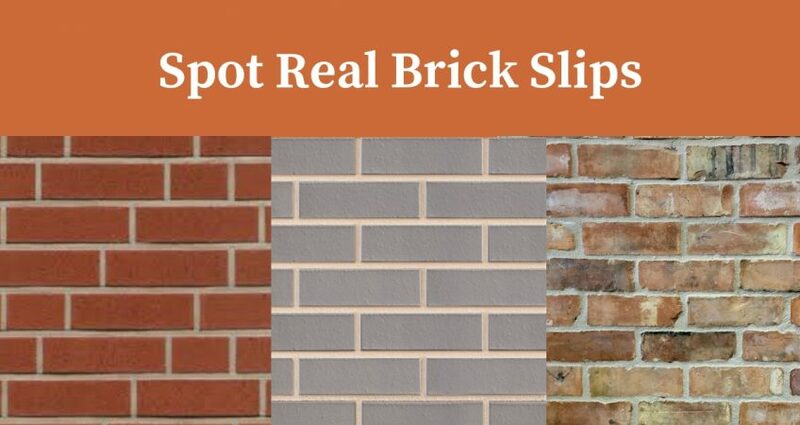 If you’d like to know more about real brick slips installation over fake or faux ones, get in touch with us today. J&A Tiling is a renowned brick slips installer and supplier in Essex and London. We offer an extensive range of brick slips and tiles made from a variety of materials that include natural clay, acrylic and ceramic. Call us today and get a ‘free’ quote for your preferred brick slips installation.